Dortmund - It was one of the shocks of the 2012/13 campaign: Having won four consecutive Bundesliga matches leading up to their home clash with mid-table Hamburger SV in February, another Borussia Dortmund victory seemed like a formality. The visitors had other ideas though. Despite falling behind to a opener, Thorsten Fink's side stormed to an astonishing 4-1 victory at the Signal Iduna Park, thereby completing a league double over the Yellow-Blacks. A revenge mission might be too strong a suggestion for Saturday evening's latest meeting, but Jürgen Klopp's side will no doubt be determined to set the record straight. After and Heung Min Son both grabbed a brace to secure an unlikely victory at the home of the then-champions, Fink admitted it had been "his happiest day as HSV head coach" and claimed the result would go down in history as one of Hamburg's best ever in Bundesliga. "This game was something special, nobody’s going to forget it in a hurry,” he said. 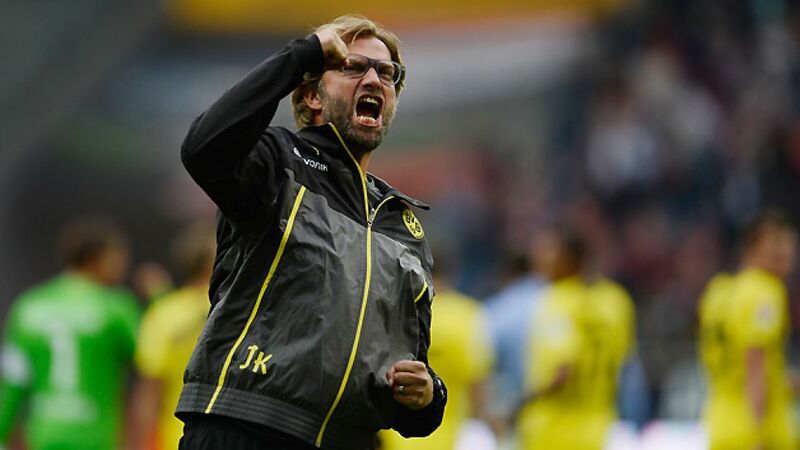 When the two sides met last season, Dortmund’s home form had been patchy to say the least. They had won only five of their ten Bundesliga home games leading up to the fixture, having already suffered home defeats to fierce rivals FC Schalke 04 and to VfL Wolfsburg. Things are a little different seven months on. Klopp's troops could hardly be in better shape. The 2013/14 season may just be four games old, but the Yellow-Blacks sit at the top of the Bundesliga table and are the only side able to boast a 100 per cent record so far this campaign. New signings Pierre-Emerick Aubameyang and Henrikh Mkhitaryan have also hit the ground running, having shared five goals between them already this season. There have also been changes at Hamburg. A shift from a 4-4-2 to a 4-3-3 formation was meant to increase the attacking threat of a side who only managed 18 home goals last season. Despite recording a comfortable 4-0 win over lowly Braunschweig on Matchday 4, Hamburg's defending has left much to be desired so far this term - only 1899 Hoffenheim have conceded more. The emergence of Hakan Calhanoglu , who stormed onto the scene with a brace against Braunschweig, has given HSV fans grounds for optimism, while captain Rafael van der Vaart may return from injury on Saturday. But be warned: Klopp has never lost three consecutive games to the same opposition since his first season in charge of the Westphalians - and that run of defeats came against Bayern. Klopp and Co. will be keen to stop that from happening again this weekend.